Earlier this year, I wrote an article where I appealed for more members of the Canadian C-suite to join the conversation on Twitter. I had noticed an opportunity for business leaders to engage on social media with their customers, employees, policy influencers and competitors. There was a huge response to the article. Almost immediately, I began receiving emails, texts and DMs directing me to a cadre of active, vibrant Twitter accounts from leaders of Canadian industry. Across the board, Canadian business leaders were indeed part of the conversation on Twitter. 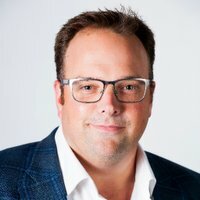 I dug deeper and realized that the roster of top Canadian executives on Twitter was becoming increasingly broad and engaged. Working with our executive team in Toronto, we decided the timing was right to shine a spotlight and highlight a cross section of these individuals from across the country. We had a significant pool to pull from but we ultimately created a list of 40 Twitter accounts that we feel exemplify the passion of our top business leaders. 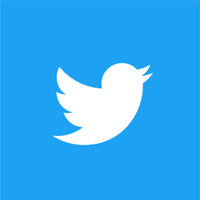 The list is populated with executives who use Twitter regularly to share company updates and industry news, engage with customers, employees and partners and Like, Retweet and Reply to top Twitter content. In short, these are names from across Canada that are driving thought leadership, influence, and impact by their presence on Twitter. "Twitter helps me engage with people connected to Sun Life in various ways - from employees and advisors around the world, clients and community partners. It's a good way to share a bit about our culture and some of the cool things going on across the company. While I'm still upping my game on group selfies, I love the on-the-spot interaction." We are excited to see their conversations on Twitter continue to flourish as more Canadian executives, customers, partners and employees join in. Please connect with me on Twitter @rorycapern. I look forward to hearing from you.